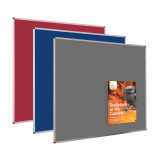 Information boards, flip charts and noticeboards are a great accessory for many industries, from hospitals and schools to offices and events. Use them to communicate with your staff, customers or visitors depending on where and how you choose to display it. 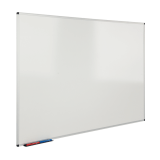 Available in a variety of styles and colours, there is a noticeboard or flip chart perfect for your needs. 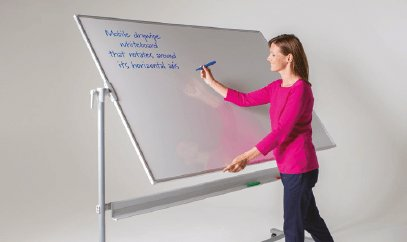 Noticeboards and flip charts are a useful accessory for many. A noticeboard with a cork background is a classic style with simple functionality. 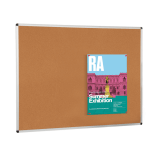 A cork board is perfect for company staff rooms to display safety notices, rotas or company news. The best way to attach announcements to your cork board is with standard drawing pins. 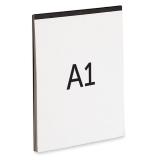 Similar to the cork boards, felt noticeboards are a simple way to display announcements around your business. Using pins, paper notices can be mounted instantly and replaced in seconds. The benefit of a felt noticeboard is the addition of colour. We provide blue, grey and red felt options which can add a pop of colour to an otherwise dull meeting room or corridor. 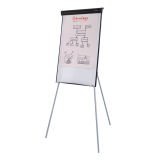 A favourite among schools, offices and events, a flip chart is a great way to present and communicate your message. 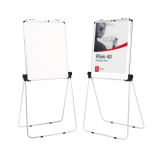 Available with a paper flip chart and/or with a whiteboard base, this versatile display tool is a great addition to many schools and offices. 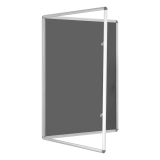 If you are displaying important posters or using the frame in an area where they might be vandalised, a tamper resistant noticeboard is the best way to avoid wrong doing. The aluminium frames are secured with two key operated locks that can be used on your preferred side of the board. 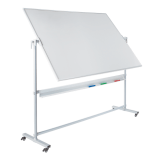 Another popular accessory for the education sector and offices is the traditional whiteboard. 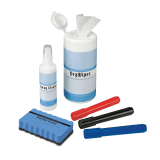 It’s popularity comes from it’s easy cleaning, easy using and easy mounting features. 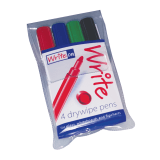 Write directly onto your board with whiteboard pens or attach paper notices using whiteboard magnets.